The aerial photograph map shows the last section of Snakeden Creek to be restored. 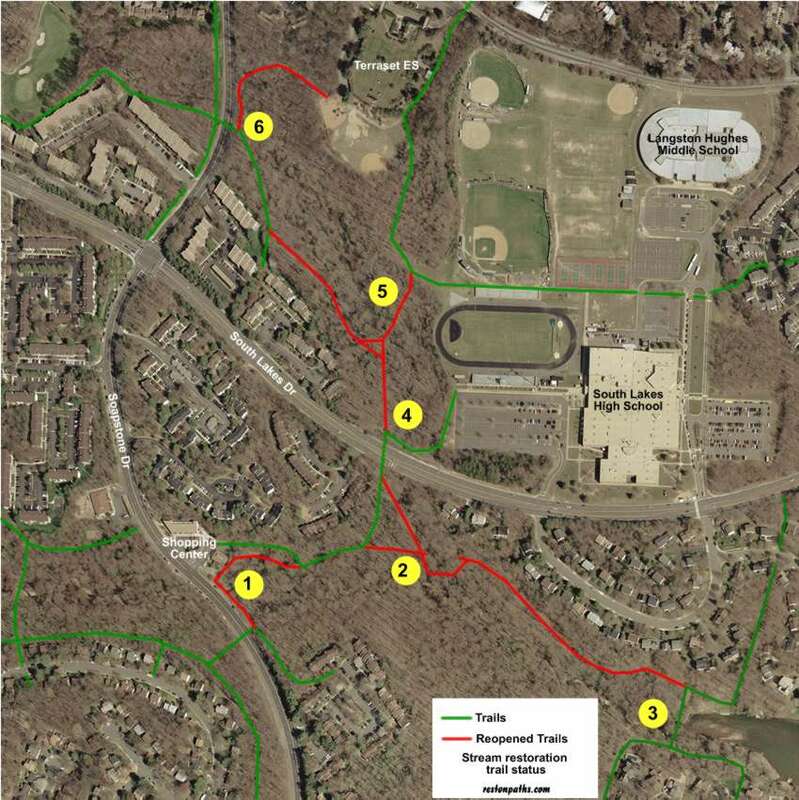 The trails marked in red are reopened and some bridges replaced. The trails marked in green were open during the restoration activity. Click on the yellow circles to view pictures of the completed stream construction near that location. This is the latest stream restoration site and involves the Glade Stream. 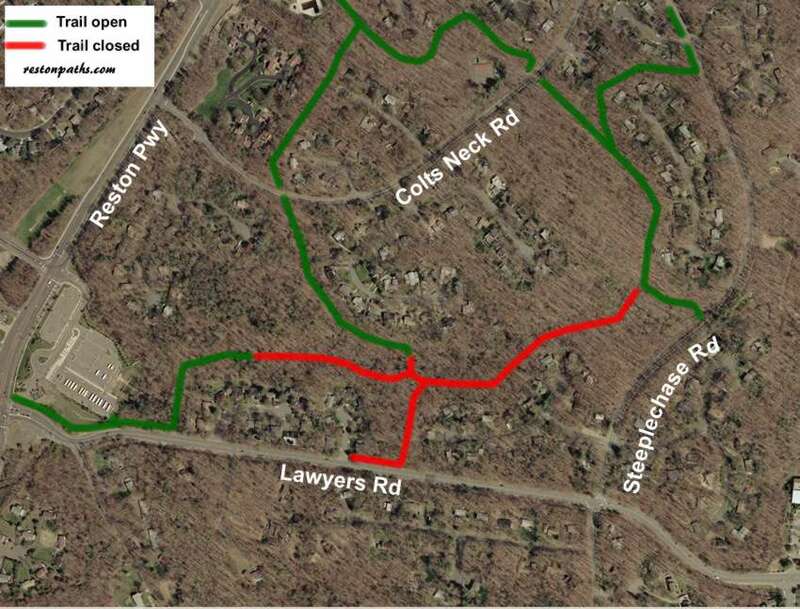 The trail marked in red is being used by construction equipment and is closed to residents. More details are available on the Reston Association site at www.reston.org. Pictures of completed sections are provided on the following pages.